The company was founded in 2002 upon an idea originated from the meeting of science, knowledge and skills acquired by its founder through multiple different professional and educational experiences. From this privileged observatory dedo Ingegneria interpreted the concept of engineering company giving shape, with enthusiasm and passion, to a multifocal project to put at the service of both public and private facilities. The technological push and the search for ideas that feed the global marketplace attribute to the innovation the role of critical and fundamental factor for the development and welfare of the peoples; consequently the technological innovation has reached extremely high levels of complexity, requiring a strong integration between different disciplines. 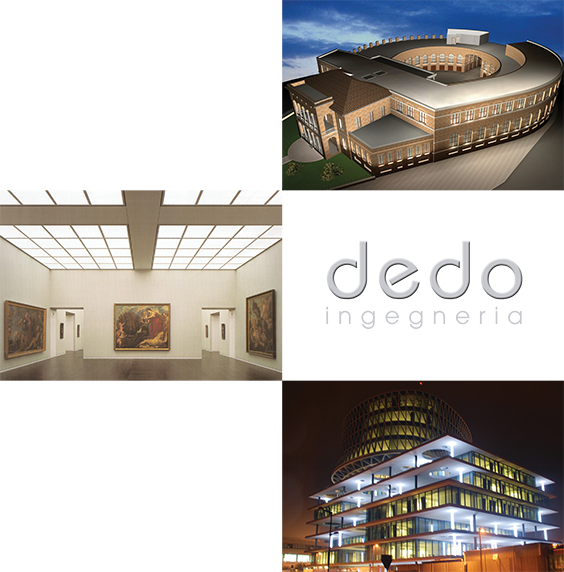 In this context, the dedo Ingegneria offers solutions to the state of the art, with the realistic hope of a fruitful season for transformations marked by a renewal a renewal that becomes aware interpreter of rapid changing needs taking place in the contemporary world.